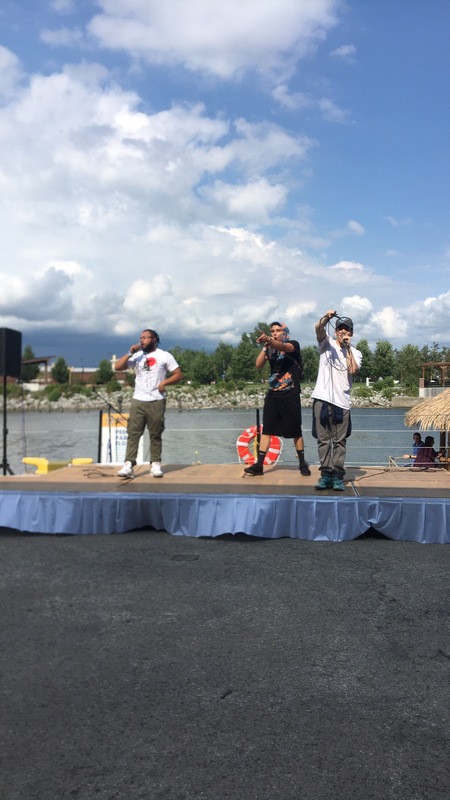 Beau Fleuve Music & Arts Festival Review – Be Fearless. Be Flagrant. 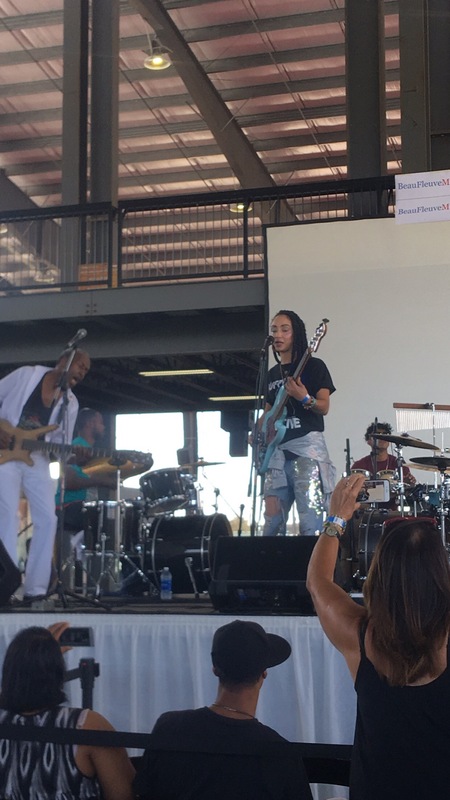 The inaugural Beau Fleuve Music & Arts Festival kicked off its event with an amazing blues performance by Zuri Appleby, best known for playing with Nick Jonas as his bassist and closed with the anticipated performance of Venzella Joy, best known for playing with Beyoncé as her drummer. 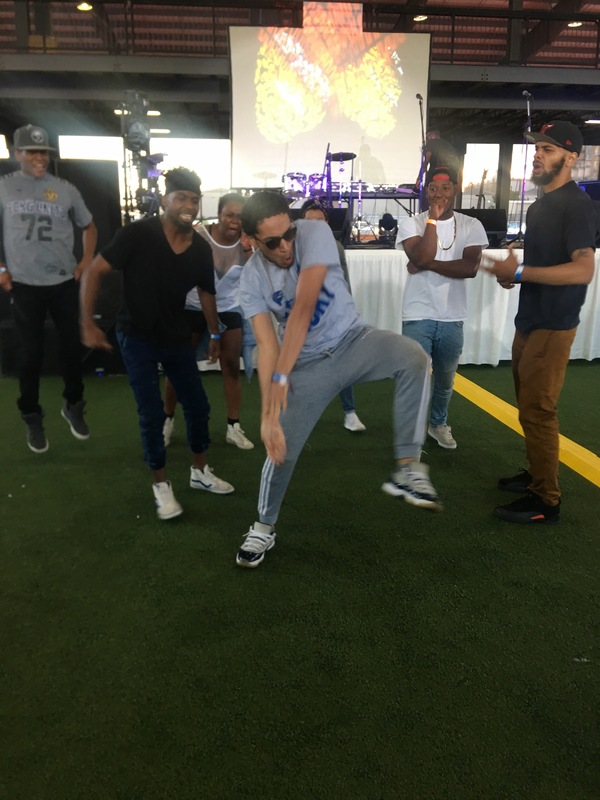 These famous Buffalo natives performances got the crowds excited and secured the heightened energy throughout the Festival. Beau Fleuve was held at the Buffalo Riverworks, a new and unique venue for an festival that was quiet the same.Upon entrance to the venue, there was a restaurant and bar with a large open space that would be used as an Exhibit Room featuring art exhibits, fashion art, speaker series and vendors. Along the back wall there was an entry way down to an arena that offered space to two main stages ,the river stage, more vendors and a stair case that lead to the silent disco located on a stage above the middle of the two main stages. 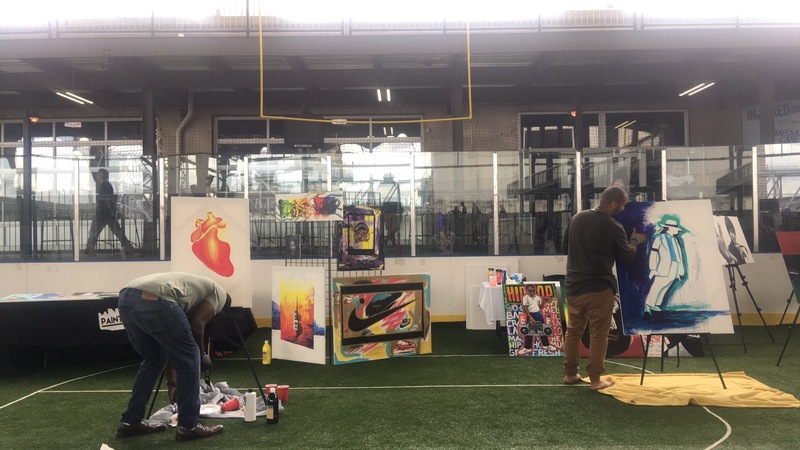 On these three stages every art form imaginable was on display: all genres of music from country,Hip Hop, R&B, Neo Soul, Jazz, Indie and more, dance, spoken word, and live performances by painters & barbers. Amidst all this talent performers often found themselves competing with each other for space to be heard by their audiences. The amount of talent showcased at this event was astonishing and at time confusing. From the festival goers I had the pleasure of speaking with they all wished there was an event program given upon entry detailing the time/location of each performance to ensure they didn’t miss certain sets, but were also optimistic that by next year’s festival these minors kinks would be worked out. 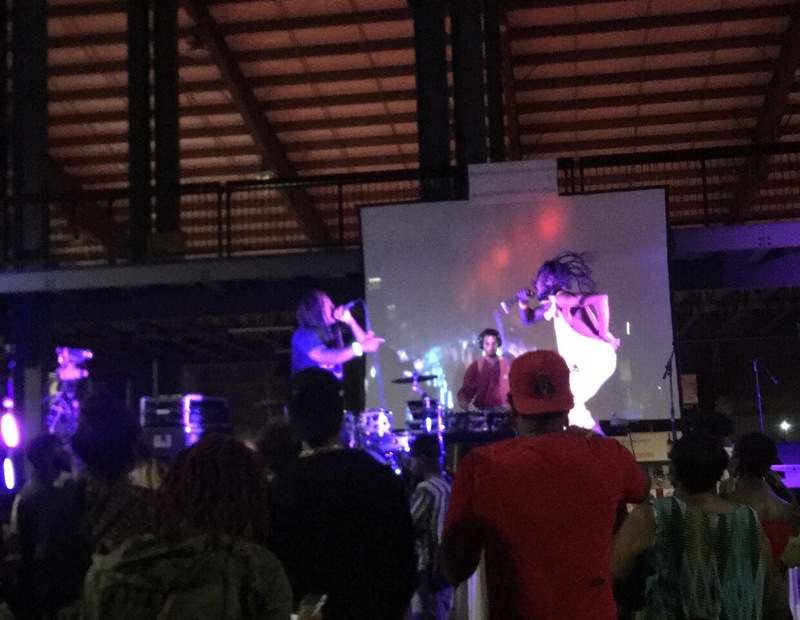 Some of the highlights of the night were the Neo -Soul performances from Drea D’Nor and Lindsay Niccs that drew some of the largest crowds. We Stole the Show and The Pit Dance Crew raised the energy of the crowd as they interacted with festival goers within their sets. But above all, it can be agreed upon that the Silent disco was a definite favorite. Upon arrival to the silent disco stage each person is given special headphones that can switch from the three different dj’s mixing on the stage in front of them, these headphones would light up the color of whatever station they were currently listening to. The liveliest time of this was during Truey V’s set where crowds swarmed in circles dancing out to current and classic popular music as well as tunes from Buffalo’s own underground scene. 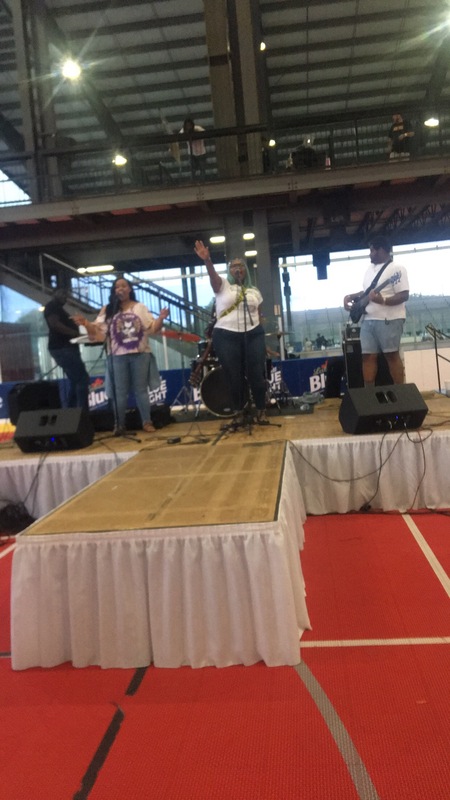 My personal favorites of the festival were the youth performances, the food, and the overall vibe of the festival. The multitalented set performed by the students from Buffalo Center of Arts and Technology was both beautiful and refreshing to see the amount of talent these youth possessed, what they were capable of when given creative freedom and a platform to showcase it. The indoor restaurant offered a delicious twist to the traditional Buffalo Chicken Wings with their Duck Wings rendition, which is meatier than their fellow feathered friends but with all the great flavors of a buffalo wing ! Festival goers were all in high spirits and friendly creating a welcoming family friendly environment. There was a strong sense of community among the artist that were mostly all Buffalo natives, their support of each other’s crafts extended beyond their performances, but also to their growth and accomplishments. I can go on about the wonderful experience I had at this Festival, it was truly a unique celebration. A celebration of a new Buffalo were artists are given not just space to showcase their craft and perform but a community that fully supports them. I look forward to attending next year’s festival and hopefully seeing the work of many other artists from the Buffalo & Western New York area. Pingback: SevenSixteen’s Truey V: ‘Trap Rage’ review – Be Fearless. Be Flagrant.